Keep working. Kratos, god of war. Armed and dangerous | Картины и портреты из цветного картона на заказ. 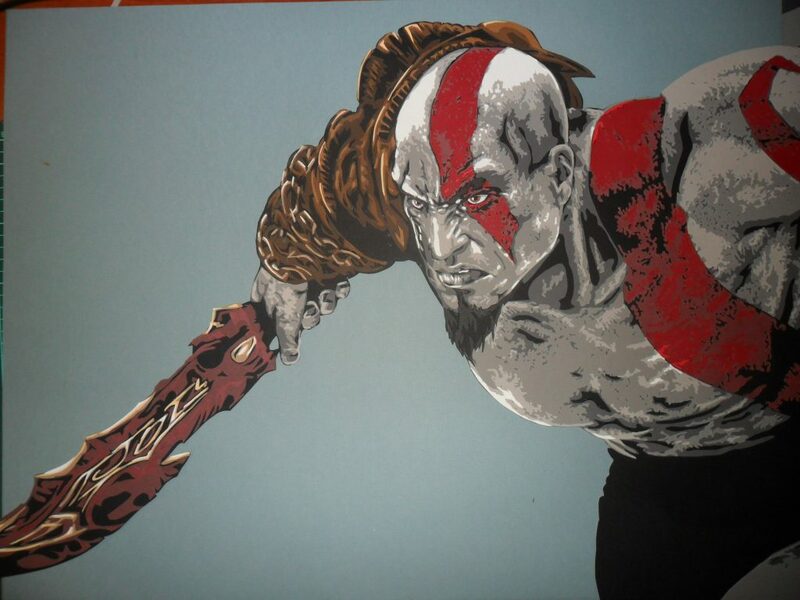 Art-work on picture “Kratos, god of war” continues. Blades of Chaos – the gift and the curse – ready for battle.